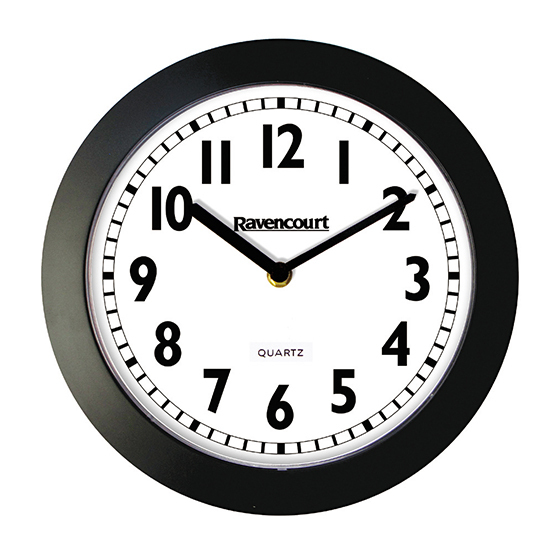 The Ravencourt Large Digital Exam Clock designed specifically for School Exams. Ideal for multi use spaces such as School Halls, Gyms and other large areas. 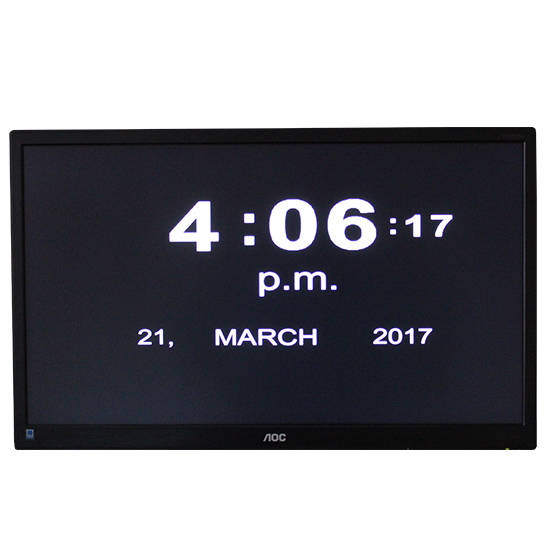 Large clear digital exam clock ideal for schools. We’ve been asked for this so often by Examination officers, that we decided to manufacture one. This shows the time with or without the seconds and also the day and date. 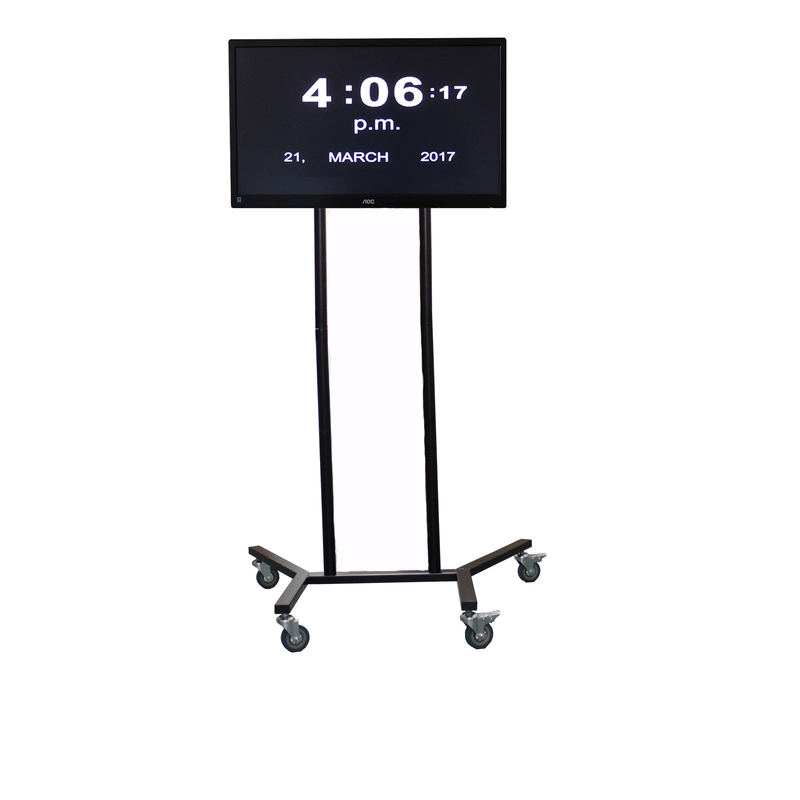 Our Large Digital Exam clock has a height adjustable stand allowing it to be easily seen while seated. The box now also comes with different language options including Welsh, Polish, Spanish, French, German and Italian, making it perfect for language exams and Multi Language Schools. These clocks can be seen up to 50 meters away inline with JCQ recommendations. 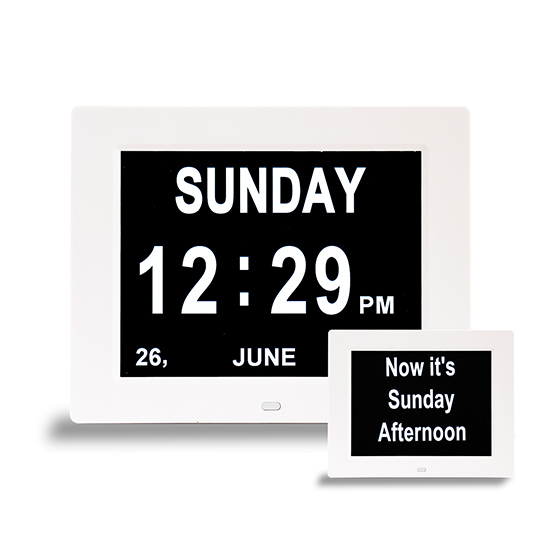 With different selectable screens it allows you to show the correct information all of the time, with a built in battery it will also keep time even when switched off and moved from room to room. 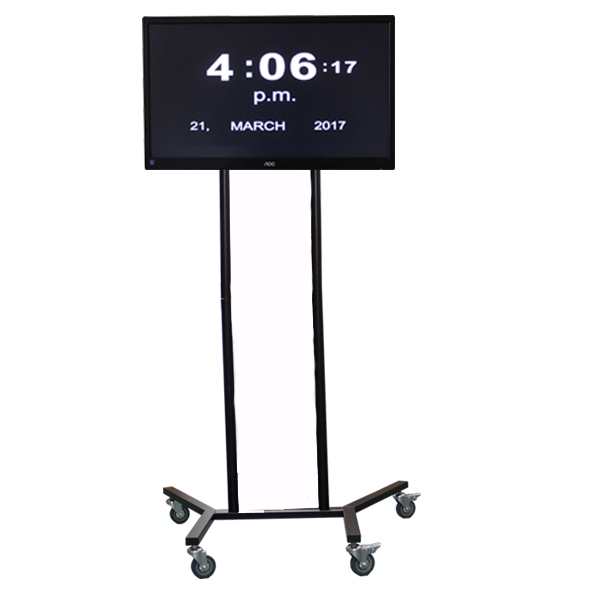 “We recently acquired a large digital exam clock (with large screen and wheelie stand) from Ravencourt which we used last term for our PPE’S in our large Gym. The clock worked fantastically, was easy to transport and could be clearly seen from all areas of the large Gym. 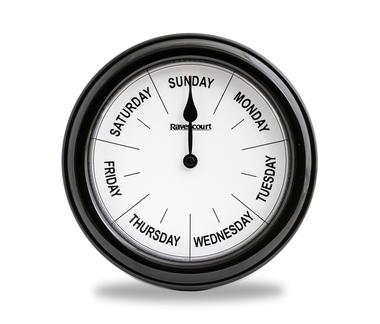 We would highly recommend the use of this clock to other institutions”.